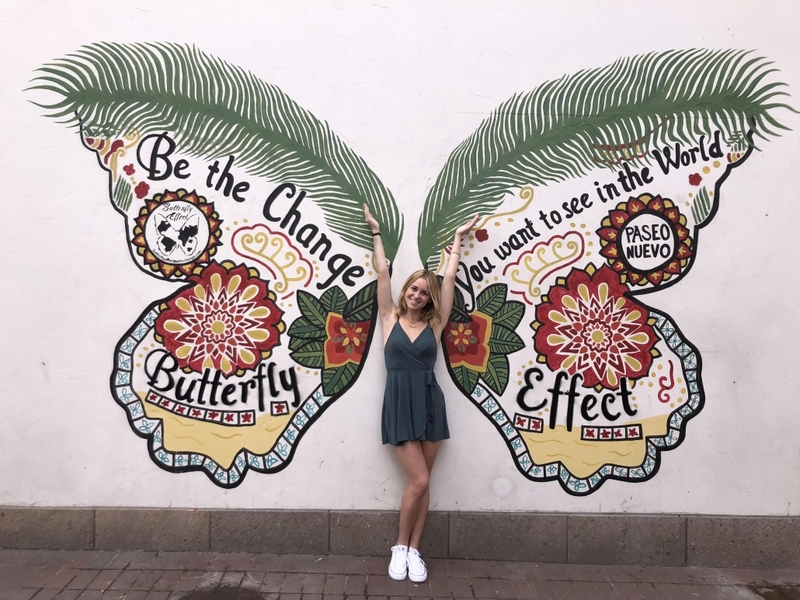 Samantha Gaston’s been a fan from way back, when Butterfly Effect Founder Tasha Wahl was spearheading Butterfly Drops as part of her microphilanthropy effort. When Tasha began the Social Butterfly installations, Samantha wanted in. 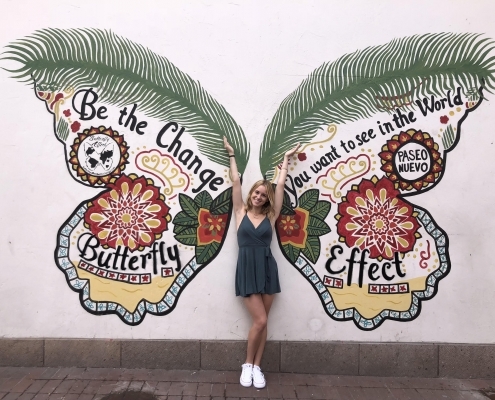 The next step for Samantha, a 21-year-old University of California, Santa Barbara, student studying French and biology, was to figure out a good place to put the butterfly, so she went about contacting local businesses. “I found one that was super excited about the project and let me have free rein with it, which was super cool. They were so amazed with it and they loved it, and now they want it all over the U.S. It was a dream come true, it’s awesome,” she said. 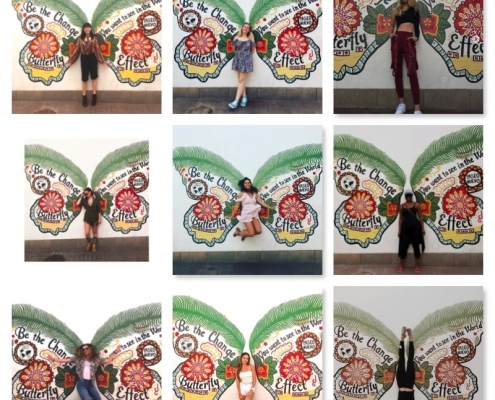 Participants who take a selfie in front of the butterfly and post it can raise money for charity. 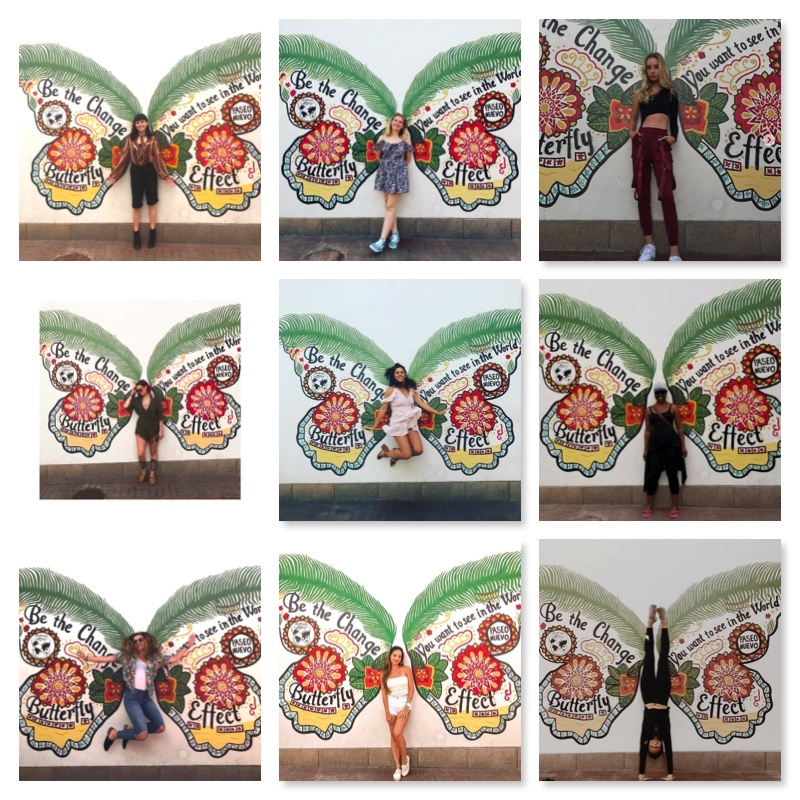 Of all the Social Butterfly installations throughout the world, Paseo Nuevo has raised the most, with more than $3,000 going to various causes chosen by the participants. “Which is really the beauty of the project, is it encourages people to get passionate about something,” Samantha said. And it turns out that people are catching Samantha’s passion—other locations in the Paseo Nuevo family heard about the Butterfly and want one of their own. “We couldn’t keep the good news to ourselves,” Marina said, adding that Pacific Retail Capital Partners (PRCP) is one of the nation’s premier retail operators of large open-air centers and enclosed malls, and Paseo Nuevo’s parent company. It will be rolling out Social Butterflies at each of its shopping centers in March of 2019 in honor of National Women’s History Month. Proceeds will benefit local women’s businesses and causes in each community. Learn how to bring a Butterfly to your community to help a cause near to your heart.